We realize that parents have full schedules, and that often requires extra care before and after school hours. 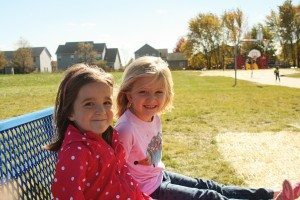 Enrolling in our Before and After School Program allows flexible drop off and pick up hours comparable to other schools and daycares in Iowa City and North Liberty, but with significantly less cost. The Heritage Before and After School Program is a great option for busy parents. Students may be dropped off as early as 7:00 AM and may stay as late as 5:30 PM. For pre-kindergarten classes that end at 1:30 PM, there is an opportunity for students to stay in the classroom until 3:25 PM, then transition into the Before and After School Program. For more info and current rates, please view the policy and registration form below.